My New Website for 2012! 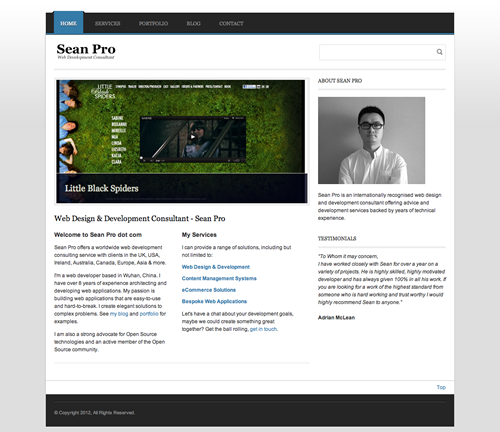 "Sean is a real pleasure to work with. He understand all the task asked of him and is very diligent in responding. His coding is top notch and he is always easy to get intouch with! I will be using him again regularly."